No Hem 30" 32" 34" 36"
• Permanent press, never needs ironing. • 2 expendable cargo pocket with flap closure. • Hook & eye closure at waistband. • 2 front pockets with heavy duty pocketing. 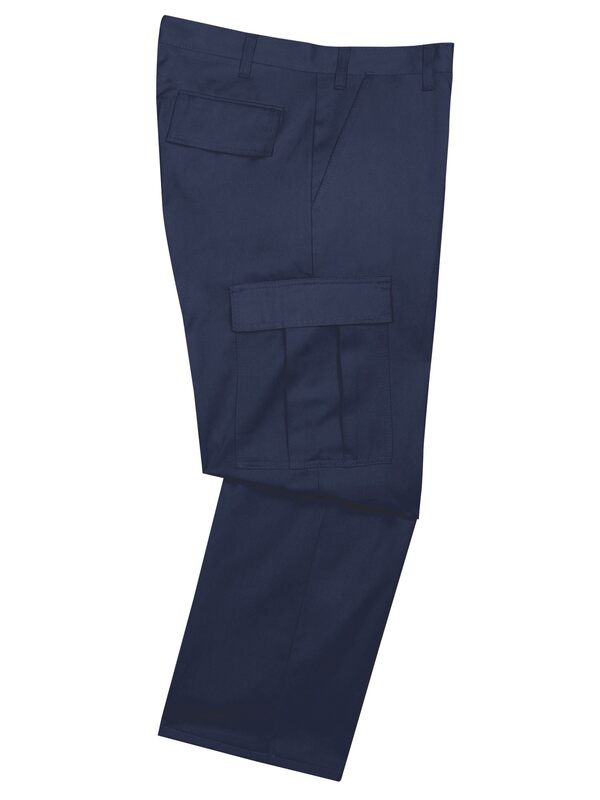 • 2 rear pockets with flap closure. Please note these pants are stocked unhemmed. If you select an inseam they will be hemmed but can take up to 2 weeks to do so.